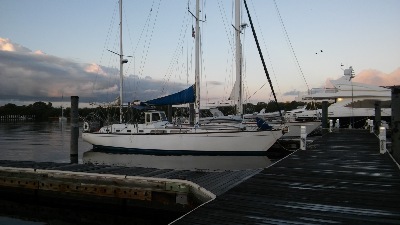 Hekowi is a CT47 ketch currently on the hard at Fort Pierce, FLORIDA. Above is Hekowi at the dock of "Puerto Mujeras Resort and Yacht Club". Turned out to be a really nice place. The dock itself was a bit dicey. So this is a test. Modifying the website from my new ssd laptop with the windows 10 version of explorer. Lets publish and see. Even using the touchscreen! Dec 12 2016 - send second request for crew to the forum. We now have 2 captains and probably a gold miner. All involved have sailed open ocean before. Still could use one or two crew and probably a stand in case of unforeseen events. Overall 2017 Schedule Jan 10th arrive Tocumen bus to Shelter Bay. Jan 15th move vessel to water. 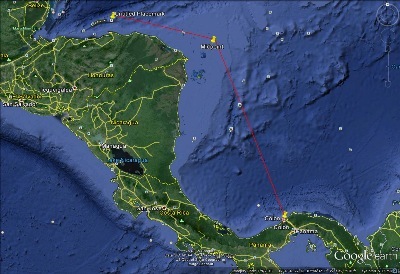 Jan 15th-Jan 30th clean up and adapt to Panama. Feb 1st start work for yard mon-fri. March 28th watch USA Panama Soccer world cup qualifier in Panama City. 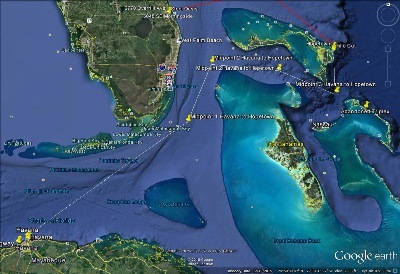 April 3 begin voyage leg 1. 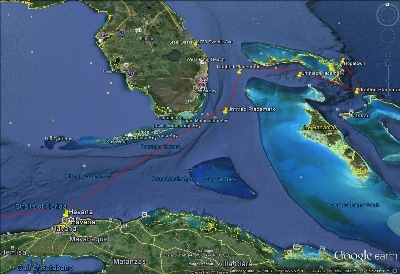 All legs are scheduled for a week, which presumes that we will arrive with at least 2 days to spare in each harbor. Oct 5 2016 Sent a relief box of stuff to Panama. new stove and engine mounts, new interior led lights, new handheld VHF, a lifeline kit. 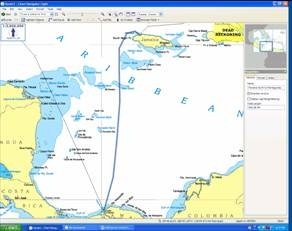 And I decide that this year we will stop at San Andres Island, instead of trying the big first leg of almost 700 nautical miles. 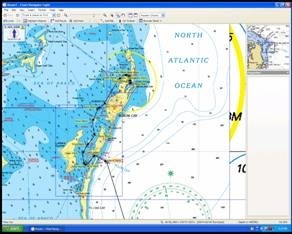 This is leg 5 Havana to Hopetown 451 nm April 31 to May 6 2017. 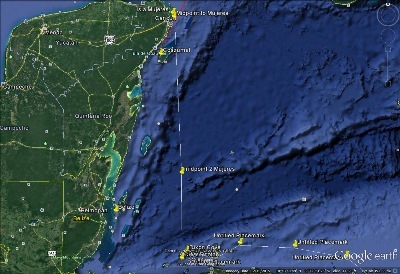 As you can see if someone need to get off at the end of April, we can put in at Key West. Sept 12th, 2016. And so it begins again. Last year I had a wedding to attend... Oh I did not mention that? Well my wife and my daughter mentioned it, erh several times. This prevented me from just mounting a second effort to move Hekowi last year. This wedding also set the schedule earlier into heavy weather. This year we will move Hekowi to Florida in APRIL. I will go down in Jan, work on Hekowi and also work at the yard, for about 10 weeks. The exact schedule will be set as soon as I can buy an air ticket for mid January. I just moved some funds that were in the retirement fund, dammit, I am going to Florida! March 24, 2016 Well, Hekowi has moved about 100 meters in the Shelter Bay yard... Long story... To summarize, we had an Apollo 13 week. The young couple that was with us had listed previous charters. But it turned out that those were a day at a time, sailing to islands that you could see when you started out. 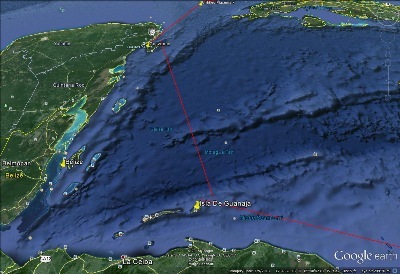 So about 1/2 a day into the heavy Northerlies that blow in February into Panama, she fell ill. I mean really ill. Down and out and cannot eat or drink. Both had previously worked their butts off to get Hekowi clean, you cannot fault their effort. We were also smashing thru significant seas and taking water upon the deck. Said water was running back and forth on the deck and finding a deck leak here and there. So water was dropping into the main salon, for one thing, onto the bedding for instance. 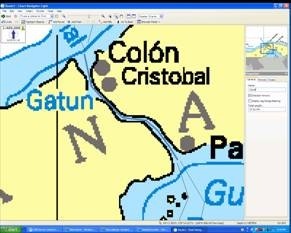 So wet and miserable, about three days out, we start thinking that maybe we had better get the sick girl to a dock, before she drops dead on us, and we try to get into the Island of Providencia. We attempt a Southern entrance, abandoning a lot of Northern progress made, and get hit by a pretty good squall at about 25 knots. 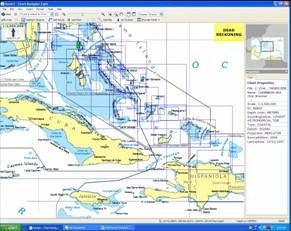 We are also getting swept into shallow water, you can easily see the bottom, and the Island is getting a lot closer, so we address the entire situation by turning and running back to the East of Providencia and trying to get to the "turning point" where we can turn West, and be running downwind. In the middle of the following night I am awakened with the report "The oil pressure is at zero". We put in all the spare oil, and resurrect an oil pressure, but we cannot see the oil on the dipstick. Obviously, we have a pressure leak. Now Perkins has a couple of components on the engine (3 actually) that are classified as "Pipe, flexible". They are not PIPES. They are hoses with pipe like fittings on each end. They look like pipes wrapped with protection, but they are HOSES. These have never been replaced, because, they are like, pipes. Well we limped back into Panama, sailing downwind. Because we dare not start the engine, we went primarily with manual steering, 2 1/2 fairly nice days with sunshine. Turned out we could get the hoses fixed, the first one for $42.00. The couple jumped up and said goodbye in the first day back. With only two of us, and oh yeah, we have broken 1/2 of the forestay bail, it was time for a reconsideration. John said goodbye on the third day back, and I worked for 10 days on Hekowi. I slowly changed from near depression, to enthusiasm for repairing the vessel. 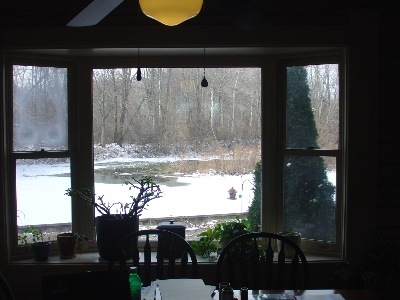 I did a great job of completely reinstalling the windows. it took about 4 days, and It took about 7 deliberate steps. I took care to measure and get the part numbers of lots of things that would need to be addressed next year. So, no one is hurt, the vessel is again being repaired, and several things are already on next years agenda. Meet some great people, and they are still down there, and will check on the boat. Dec 1st, Crew applications accepted. If you want to go, please familiarize yourself with this entire site and send me an email that shows relevant experience and reason for applying. Hiking, camping experience as well as boating experience, a plus. I am a seasoned sailing instructor and charter operator, ex 100 ton captain, I can make a sailor out of you, but I cannot instill resolution, that is up to you. This is a common adventure contract, I am not hiring crew, you are not booking passage. On Dec 31st, we will shut down the application process, and start making concrete plans per the crew. Oct 26th, start working on the checklist. Sept 9th, 2015. Well this is the year that we get home. The target is Port St Lucie Florida, via the following method. Jan10th or so to Feb 15th I will be in Colon shaking out the various problems with the boat. 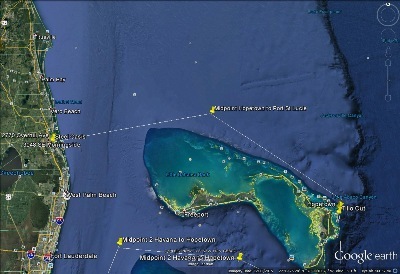 Capt Don has successfully found another Caribbean hell hole. The rooms start at $140, but the slips start at $60. We have 3 in our boat and we use the pool daily. Now it is Feb 19th. We are in Golfito, Costa Rica. We hit no wind, then a storm way out at sea, and we ran further, and then the wind did not blow for 5 straight days. We blew a engine cooling hose, which overheated everything, and we ended up losing the forward main seal of the transmission. so we had to cycle atf fluid thru the transmission every 30 minutes until that went kinda runny. We have accomplished miraculous repairs. I will post pictures as this very slow connection allows..
OK it is now jan 15th 2015. This is Jasmine, the niece of the landlord. Her college major is English!! Bang zoom, we have a built in interpretor at my little apartment. Update March 5th, 2014. Hekowi is on the hard in Mexico. 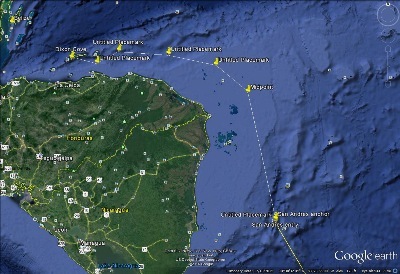 We covered more than 2000 nautical miles made good, and maybe 2750 or so total. We ran out of time more than money. My 2 month leave of absense was winding down. It was apparent that the canal would take a minumum of 2 weeks. This plus 4 more weeks of sailing would put us at April 15th or so. So we declared a "1/2 victory" and disbanded. Annie and Colin walked off to see Tikal, actually pretty close to the Mexico Guatemala border. Nathan flew back to LA to see his sweetheart. Preston and Peggy had bailed out earlier. Lesson learned... everyone who stayed till the end was 29 years old except me. everyone who bailed earlier was much older. I am searching for the meaning here in selecting next years crew. 6 was too many, 4 or 5 would be best, depending upon if there are couples. We encountered no rain but this also led to many low wind days. Our troubles were minor but persistent and time consuming. We monkeyed with the alternator several times. The engine overheated several times. Neither problem was a show stopper, but enough to cause us to run slower. We have a new alternator, and we believe the engine exchanger is cleaned out, pressure tested, and the shower hot water exchanger is working as well. and Cabo San Lucas, where the stop lasted long enuff to turn the vessel around in tight quarters and depart, we did not set foot upon land or dock... what a zoo. Two days out of Acapulco, winds were slight, so we stopped at Zihautanajo. Worked on engine heating and alternator for three days, nice stop..
Major wind pickup in the gulf of Tuhautepec, Pretty steady 25 knots gusting much higher. Motored into Salinas Cruz, we were celebrities, boarded 7 times by armed forces, what a gas. Winds in the throat of this natural canyon wind (from the Carribean) vortec got up to about 50 as we fought our way into the harbor. Spent three days, and did sail and sail cover sewing, the furled Genoa had been flapping about, the drum line was too short to allow a complete furl in the high winds. 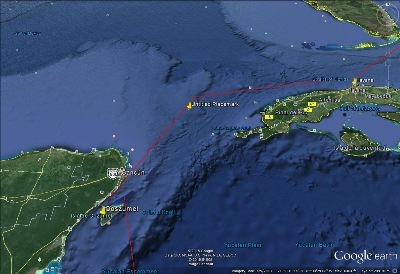 Puerto Chiapas is a relatively new marina, set up to accomodate the first/last stop in mexico entries and exits. The Mexicans got this right. This is a first class facility with a big travel lift and a secure yard. The prices are less than Costa Rica or California. So Hekowi will be safe while I save money and prepare for the next effort. 2015 plan: Improvement parts will flown in with me. I will pay baggage fees galore. There is a Walmart and a home depot in Tapachula, so nuts and bolts and wiring things will be available. 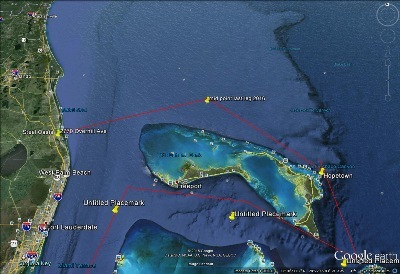 I will set aside a 2 weeks on the hard and a week in the water before departure. 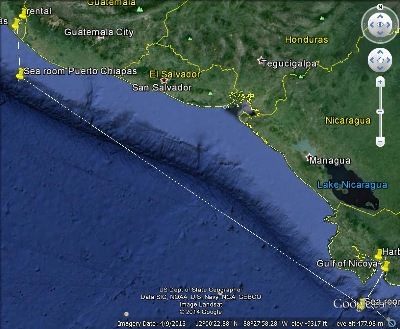 Arrive Tapachula Jan 14 or so I am renting a room. Rental cars are very expensive, I am considering buying a bicycle for my daily commute. There is a Sams Club as well as a walmart. Work to be done on the hard. 2. Starter work We have new starter studs and nuts to reinstall the primary starter, so that we will get a clean gear engagement every time. The new hotshot high torque starter will be relegated to a spare. The rebuilt original starter will be put back in place. The improvement pile includes dripless seal, another set of binoculars, new speargun rubbers, alternator, cutlass bearing and autoprop sitting on the new bimini in box. Not pictured, starter studs, new flashlites, telescoping aluminum tubes and forespar ends to fabricate a custom reaching strut. 3. Dinghy refresh. 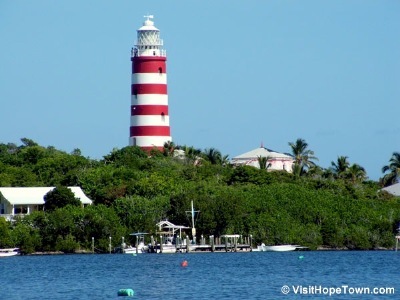 Repair and test out the two ribs and the two outboards in the harbor. use the repair kits on the vessel, and refresh gasoline in tanks and in storage. Fix the yamaha 8 to run better with the carburetor repair kit. Mount the new reaching strut on deck. Crew to start arriving per their schedules the week of Feb 1st The crew can stay on the vessel. There may be some projects that I could use a little help with, but also there are very legitimate tourist attractions on the Guatamala border. The first stop is Puntarenas, Costa Rica yacht club. 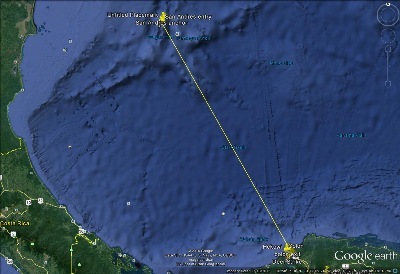 distance of 633 nm. Travel time estimated 4-6 days. 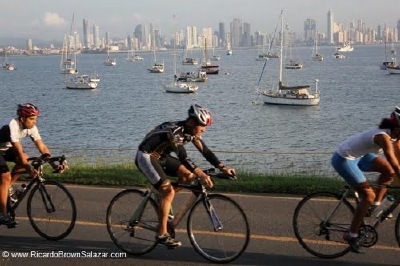 Once in Costa Rica, make progress contact with our canal agent, make final payment by credit card, and depart as is appropriate for Panama. All the physical charts and all the CDs are safe on the boat inside zip locks as appropriate. Unfortunately my PC at home which had copies of everything died. 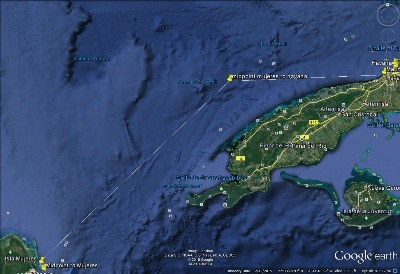 So my little charts on this website will have to be google earth per the Pacific. 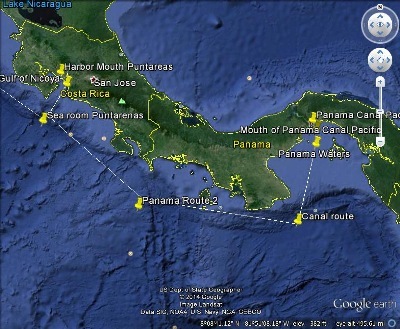 The second stop is the Pacific Side of the Panama canal 550 nm. We will have a script and a canal agent direct us thru whatever we have to do and sign. We know the vessel will need to be "weighed", which I believe is a formality with small craft, but we will be visited and evaluated. I am trying to paste a screen print of the chart of elbow cay here If we ignore several federal and international copyright laws, I can break the trip into legs and paste the legs onto this page!! !